Pack this authentic Murano Blown Bead Necklace on your next trip and you will be in style and the aqua colors are ever popular. The beads are hollow in a rich red with gold flakes. 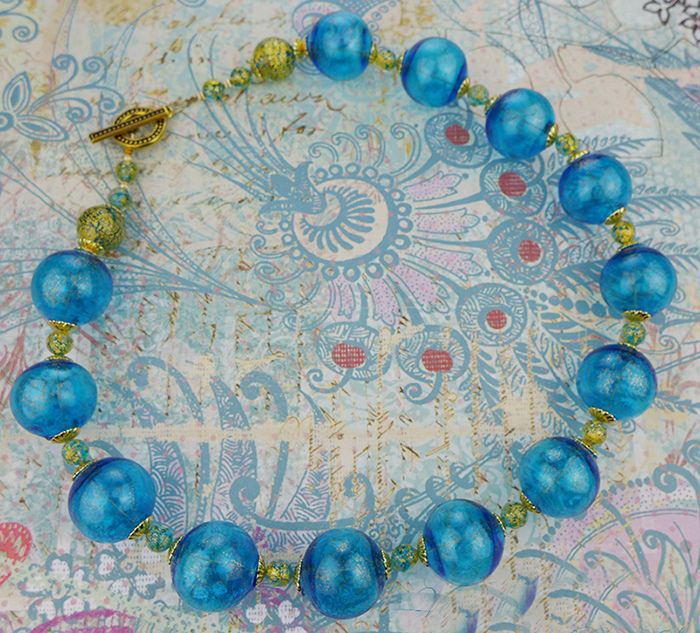 The smaller beads are also Ca'd'oro in an opaque matching Aqua. The findings are Gold Plated. The style is known as Ca'd'oro in Italian, inspired by the rich gold facade of the palazzio along the Grand Canal in a bygone era. The length is 17.5 Inches. For matching earrings we suggest our Aqua Blown Earrings.